Did you know | Baldwin & La Fontaine: Toward Responsible Gov. What does “responsible government” mean? In a constitutional monarchy, the expression “responsible government” refers to a government accountable to the people rather than to the monarch or the monarch’s representatives. In the Canadian context, responsible government primarily refers to an executive or cabinet that requires the support of an elected Assembly. 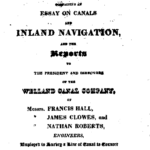 This reform was implemented in 1848. 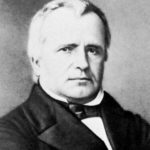 How was Canada governed before 1848? Of course, an Assembly existed in the 1830s. But its role was purely to advise the Governor, who was named by the British government. The Assembly was therefore accountable to the Crown. Many colonists in the Maritimes and the Canadas expressed dissatisfaction with this political system. They sought an executive government directly responsive to their political and economic interests. 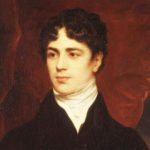 Louis-Joseph Papineau, Speaker of Lower Canada’s Legislative Assembly, travels to England as part of his campaign against an 1822 bill seeking to bypass his control of the Assembly through union with Upper Canada. 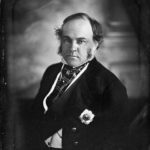 Papineau succeeds in defeating the bill, strengthening his determination to reform Lower Canada’s political institutions. William Lyon Mackenzie publishes the first issue of the Colonial Advocate, which immediately becomes an important organ of the Reform movement. 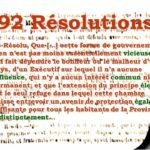 Supported by a small committee, Louis-Joseph Papineau presents British government with the 92 Resolutions, a series of demands for political reform. 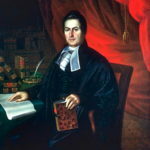 Along with several other Executive Councillors, Robert Baldwin resigns when the Lieutenant Governor refuses to consult with them, worsening the political crisis in the colony. 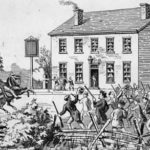 The Rebellion breaks out first in Lower Canada. The Patriot movement, led by Louis-Joseph Papineau, fights against British troops after the government rejects the citizens’ political demands. 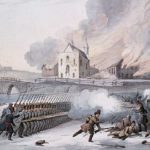 After the defeat of the Patriots, the British army pillages and burns French Canadian villages. The Rebellion spreads to Upper Canada soon after the first clashes in Lower Canada. Led by William Lyon Mackenzie, the Upper Canadian Patriots attempt to seize control of the government and make the colony a republic. They are forced to flee after engaging with loyalist forces. Lord Durham is named Governor General and High Commissioner of British North America, with a mandate to prepare a report on the Rebellions of 1837 in the Canadas. 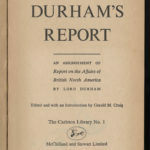 Because the British government is not happy with Durham’s support for responsible government, it rejects many of the recommendations in his Report. Robert Baldwin provides Lord Durham with a detailed report on the principle of responsible government. This report likely influences the Durham Report’s recommendation in favour of responsible government. 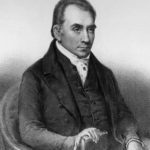 After Upper and Lower Canada are united in 1841, Louis-Hippolyte LaFontaine joins Robert Baldwin and Francis Hincks in creating a party that brings together Reformers from both Canadas. Because of LaFontaine’s efforts, the imperial government repeals the Act of Union’s provision forbidding the official use of French. Joseph Howe, a Nova Scotia politician, is instrumental in having a Reform majority elected in the province. In the wake of this victory, Nova Scotia becomes the first colony to institute responsible government in February 1848. Lord Elgin asks LaFontaine to form a cabinet based on the principle of responsible government. As a result, LaFontaine becomes the first Canadian Premier (or Prime Minister) in the modern sense of the term.